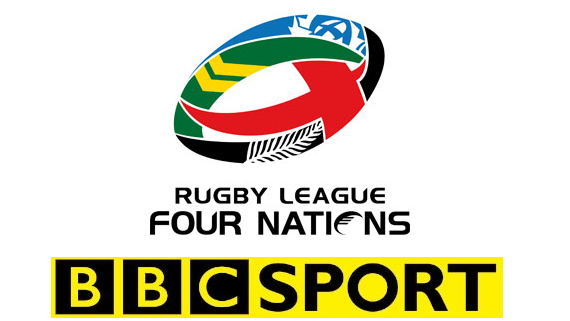 Rugby League will be at the forefront of BBC Sport TV coverage from Friday 28th October, with the start of the sport's Four Nations tournament. Over the course of four weeks the BBC promises to bring viewers coverage of every game from all six venues across the UK. A total of five live games will be shown on either BBC One and BBC Two, with live commentary of all games on BBC Radio 5 live and 5 live sports extra. On TV, Mark Chapman is at the helm of the coverage joined in the studio by BBC sport’s team of rugby league experts. Bringing their wealth of playing experience to the table are New Zealand’s Robbie Hunter-Paul, England’s Jon Wilkin and former Great Britain coach Brian Noble. Plus fresh from his retirement from rugby earlier this year, former England and Leeds captain Kevin Sinfield will be offering his expert analysis on England’s first game as they face New Zealand in Huddersfield. The Kiwis' assistant coach and former Hull KR supremo Justin Morgan, is also part of the BBC’s line up for the tournament. BBC One is the home for England’s big kick off game against the world number one side New Zealand (29th October). No tournament these days can be without a "Super Saturday", and the Four Nations has a double bill of games, live from Coventry on the 5th November. BBC Two will be the home of coverage from the Ricoh Arena, where England face Scotland at 5pm, immediately followed by a clash of the antipodean titans, New Zealand and Australia. The Olympic Stadium is the host for England’s match against Australia (13th November) where both sides will be hoping for a spot in the final which takes place at the home of Liverpool FC, Anfield live on BBC One (20th November). In a special edition of 5 live Sport the station is set to broadcast live from the Queen Elizabeth Olympic Park on 13th November for the England v Australia game. Caroline Barker fronts all the build up from noon until kick off at 2pm. She will be joined by 5 live’s George Riley and Andrew Henderson who are the commentaries for the match with Tulsen Tollett providing the views from pitch-side. BBC Radio 5 live will also air a Four Nations special fronted by George Riley on Tuesday 8th November (7.30-8.30pm) looking ahead to the England v Australia game and featuring special guests. 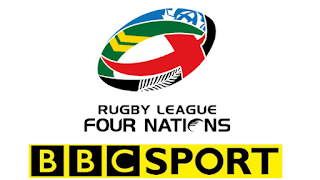 The Four Nations Fans' Forums return for the tournament following matches on 29th October, 13th November and the final on 20th November via the BBC Red Button and BBC Sport website. The BBC Sport website will also provide previews and reports of all Four Nations games, live streaming and text commentary of every England game including in-game highlights, plus stand-out moments from all other fixtures.